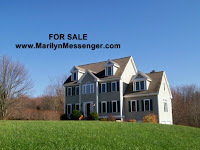 There are currently 43 single family homes for sale in Stow. Seven of the 43 already have accepted offers waiting for contingencies to clear. Last year at this time there were 46 listings. Both median and average list prices are up from last year at this time. The median is $599,900 compared with $509,000 last year; the average is $581,128 compared with $556,951. Current list prices for single-family homes in Stow range from $218,975 to $1,095,000; 3 bedroom homes start at $218,975; 4 bedroom homes start at $299,000; and new homes with 1,900 square feet start at $539,900. Year to date, there have been 45 closed sales; the median sale price was $460,000; the average was $486,296. The price range with the most sales was $600,000 to $699,900 - there were 10 sold. There were 7 closed sales during September 2009. The median sale price was $470,000; the average was $483,479.